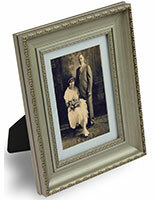 These wooden photo frames are designed for countertop display of 5" x 7" photographs or graphics. 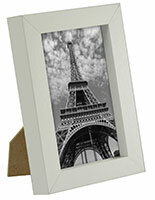 The modern-looking white picture holder is made of durable wood with a neutral white finish that complements any home, office or business decor. 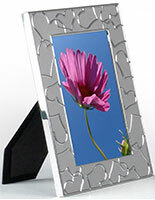 The easel-back photo frames come with a glass lens to protect contents. 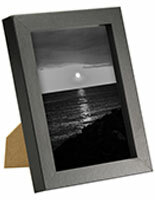 Each wood display fixture can be used for displaying 5' x 7" photographs, advertisments, messaging or artwork. 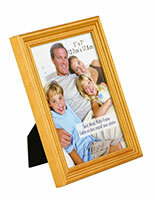 Tabletop photo frames are perfect for use at home, as POS fixtures in retail or restaurant environments, to hold ads or messaging in offices, and much more. 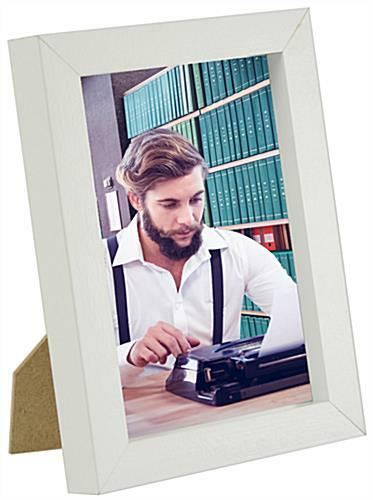 These versatile photo holders with 2-way easel backs and glass front lenses have a modern, boxy look due to the 1" thick wood framing. 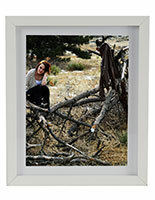 6.4" x 8.4" x 1.0"
Honestly I was shocked that these were such good quality frames since I only paid under $3 a frame for each one. 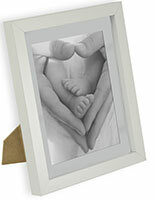 They were thick and really pretty and great quality. 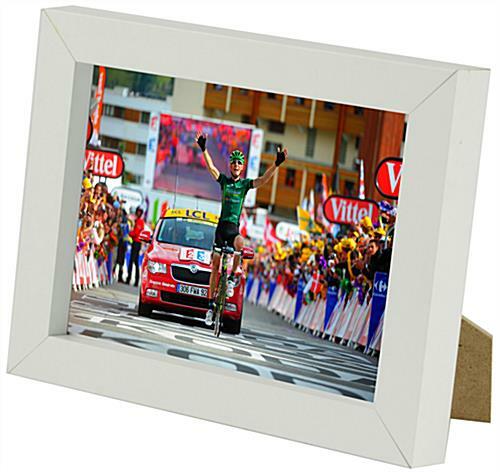 I ordered 35 and they arrived neatly packaged. Great company! That's great to hear, Kate! Thank you for the feedback.